If you’re a budget-minded shopper in the market for a no-nonsense family compact, be sure to put the Acclaim on your list of must-see models. Introduced in 1989, using many of the old K-car chassis components, Chrysler began offering a trio of new cars with similar looks. The Acclaim was nearly identical to the Dodge Spirit and Chrysler LeBaron sedan, but was the lowest-priced model of the three. Acclaim was available in base, LE, and LX trim, with base and LE models provided with Chrysler’s 100-horsepower 2.5-liter 4-cylinder and either a 5-speed manual or 3-speed automatic. Optional for the two lower models was a 150-horsepower turbocharged version of the same engine, paired with the same two transmissions. 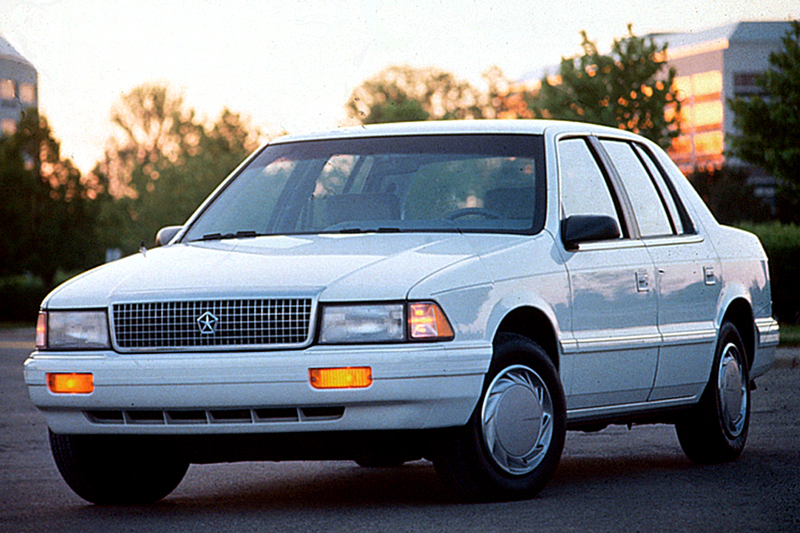 Available for the LX model was a 141-horsepower 3.0-liter V6, paired with a 4-speed automatic. 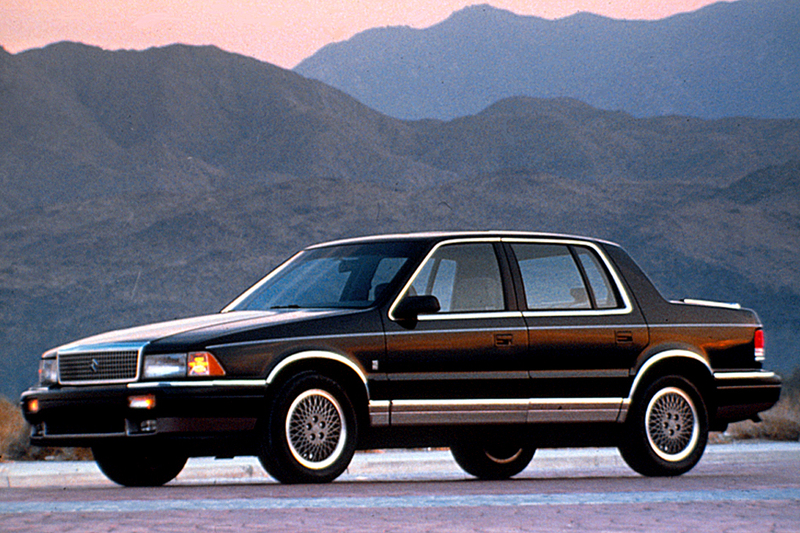 For 1990, a driver-side airbag became standard and the 3.0-liter V6 was an across-the-board option. Plymouth’s compact front-drive sedan gains optional antilock brakes and loses its turbocharged 2.5-liter 4-cylinder engine. The Acclaim lineup has been trimmed from three models down to one, and the optional 3.0-liter V6 can be ordered with a low-cost 3-speed automatic. Acclaim gets a new grille, with a flush pentastar hood ornament. All glass is tinted, the exhaust system goes stainless steel, and the compact disc player is a new option. 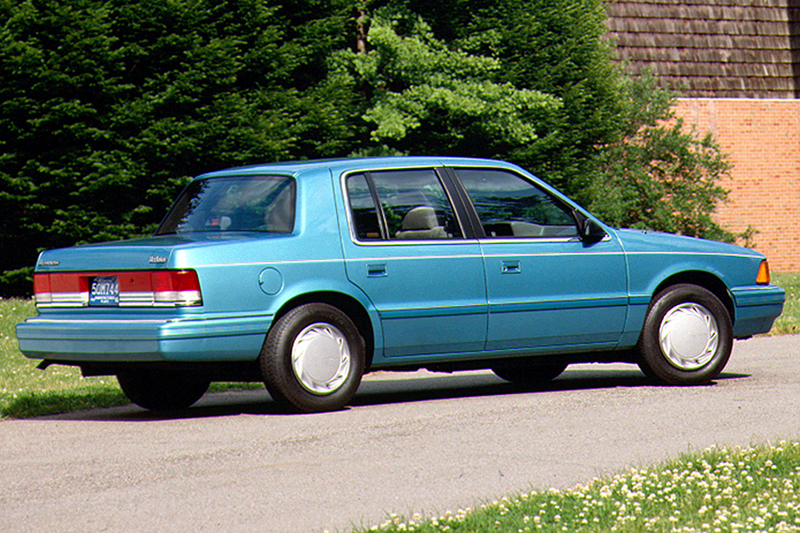 Acclaim models gain a motorized shoulder belt for the front passenger, as one of the few changes made to the 1993 models. The 4-speed automatic and antilock brakes are cut from the option list in anticipation of the arrival of a new compact sedan. Chrysler’s 2.5-liter 4-cylinder comes standard on the Acclaim, paired with either a 5-speed manual or 3-speed automatic. It produces 100 horsepower at 4800 rpm and 135 pound-feet of torque at 2800 rpm. The optional engine for the two lower models in 1989 was a turbocharged version of the same 2.5-liter engine, paired with the same two transmissions. Output from the turbocharged engine is 150 horsepower at 4800 rpm and 180 pound-feet of torque at 2000 rpm. 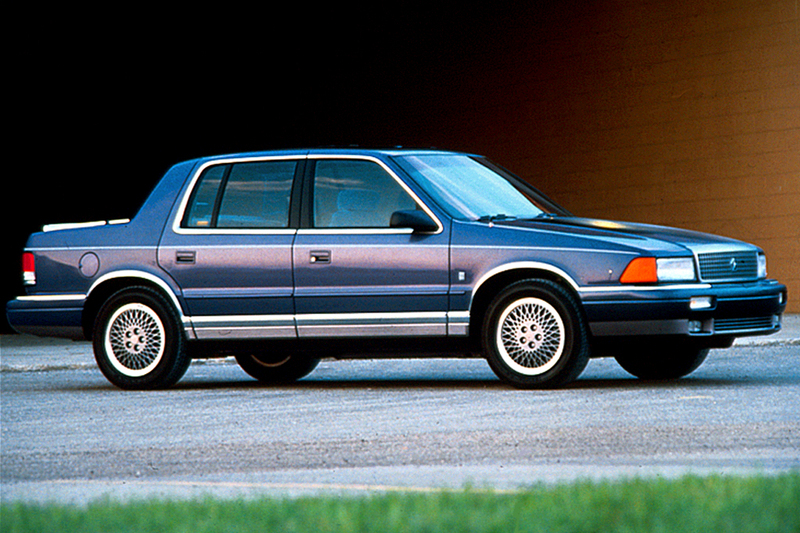 Available for the LX model (1989-90) is Mitsubishi’s 3.0-liter V6, paired with a 4-speed automatic. It delivers 141 horsepower at 5000 rpm and 171 pound-feet of torque at 2000 rpm. Chrysler dropped the turbocharged engine from the option list in 1991 and added the low-cost 3-speed automatic to the 3.0-liter Mitsubishi engine for 1992. 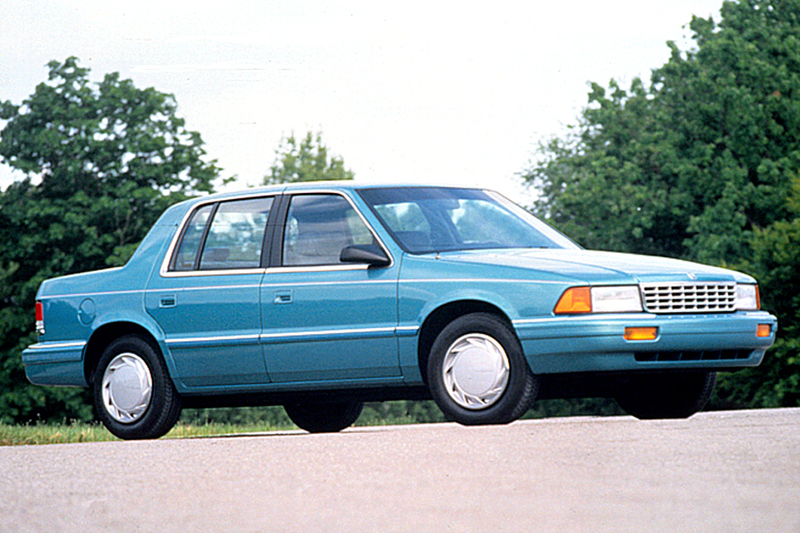 For a couple of years (1993-94), Chrysler offered Acclaims equipped with 2.5-liter 4-cylinder engines adapted to run on unleaded gasoline or a blend of gas and methanol, containing up to 85-percent methanol. Using the “M85” blended fuel, the engine produces 106 horsepower and delivers 145 pound-feet of torque at 2400 rpm, compared to only 135 pound-feet for the standard gas version. The flex-fuel engine disappears in 1995, along with the 4-speed automatic transmission. The Acclaim is best with the V6, which delivers ample power, smoothly and quietly. However, the 4-speed automatic transmission had sluggish, sloppy shift action in our tests of 1990 models. The base 2.5-liter is adequate with automatic transmission; the easy-shifting 5-speed manual coaxes a little more performance out of this engine. Road noise is prominent at highway speeds. The base engine is too loud, even while cruising. Because the suspension does not absorb bumps well, an Acclaim bangs and bounds over rough pavement. Acclaim’s airy, pleasant interior is large enough for four adults to spread out and not feel cramped. Split folding rear seatbacks that flop down for extra cargo room are optional on the base model and standard on the others. The large trunk has a flat floor and a low liftover for easy loading. Acclaim also scored points for its standard airbag. Description: 2.2- or 2.5-liter engines may idle rough or stumble when first started unless a revised intake manifold (with an “X” cast into the number 1 runner) was installed (1992), or a revised computer (PCM) was installed (1992-93), or the computer was reprogrammed (1994). Description: Oil may leak from engine valve-cover gasket. Description: Front-outboard seatbelt may become difficult to latch; latch may open in sudden stop or accident. Description: Front disc-brake-caliper guide-pin bolts may not be adequately tightened and could loosen. Description: Both airbag-system front-impact sensors may not be secured to mounting brackets, so airbag would not deploy. Description: Zinc plating of some upper steering-column shaft-coupling bolts caused hydrogen embrittlement and breakage of the bolt. Description: Seatbelt assembly on small number of cars may fail in accident, increasing risk of injury.